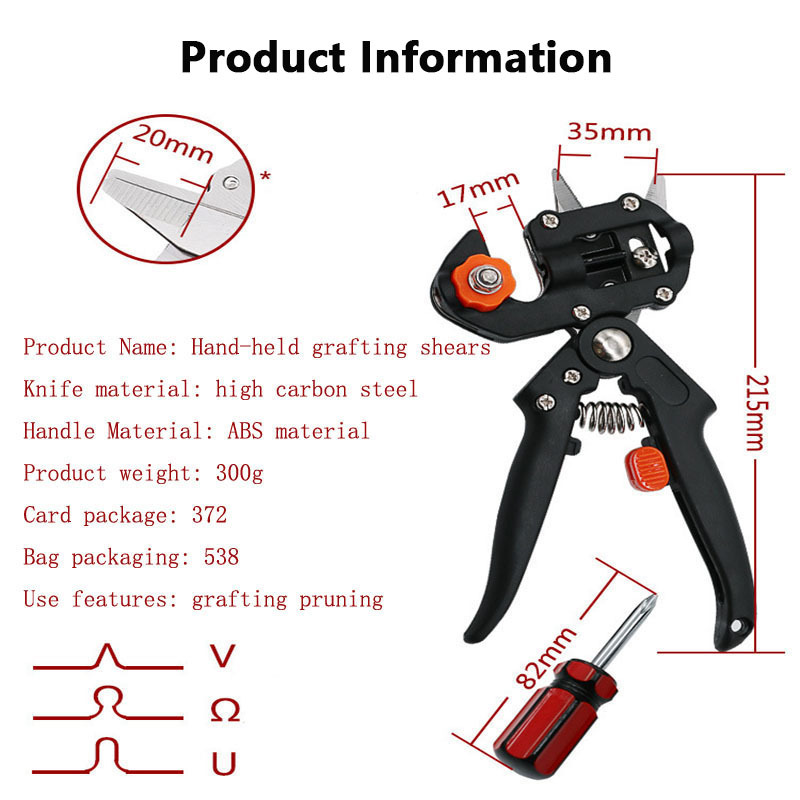 · Step 1: Hold the grafting stock in the grafting tool and squeeze the handle to make the cut, repeat this step to cut stem from the donor plant. Take care to ensure that the groove is cut in the stock plant. · Step 2: Slide the donor stem into the groove of the stock plant, matching the cut surfaces as closely as possible. If the stock and donor plant are not the same size, match on the side only. · Step 3: Place sterlizing material around the joint, and bind with tape, the sterilizing material will protect against bacteria and weather conditions. 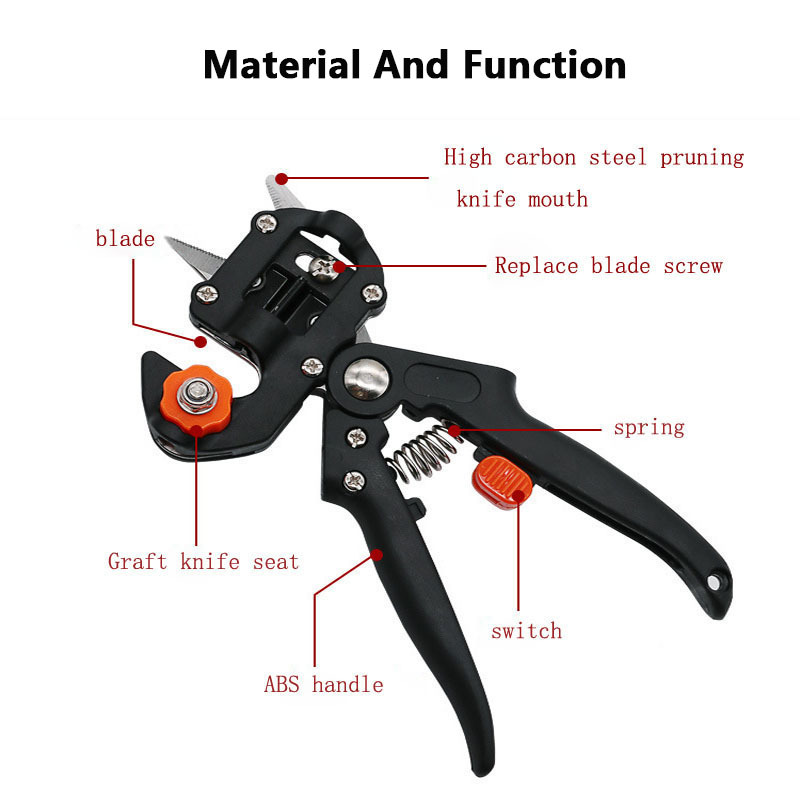 · Step 4: Use the pruner to cut useless branches from the plant. · Step 5: The grafting tool with “V & U & Ω” blade and the end of blade both can cut, one piece blade can be used as two pieces blade, so you would have total six pieces blade.